Written and Starring Mathew Holness and Richard Ayoade this brilliant comedy series first hit the screens back in 2004. A homage to early (and cheap) 1980's style action programmes Darkplace is set in a hospital over the very gates of hell in Romford. Holness plays the main character Garth Marenghi the horror writer who in turn plays Dr Rick Dagless in, Ayoade plays Dean Learner as Garths agent who in turn plays Thornton Reed, Matt Berry plays Todd Rivers who then plays Dr Lucien sanchez and Alice Lowe plays Madeline Wool who then plays Dr Liz Asher. 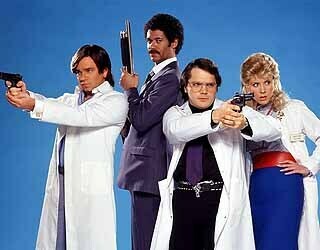 Darkplace is a brilliant, quirky programme that benefits from visual gags, mad syncing, out of scene music cues and seriously bad Foley work all done deliberatlye. 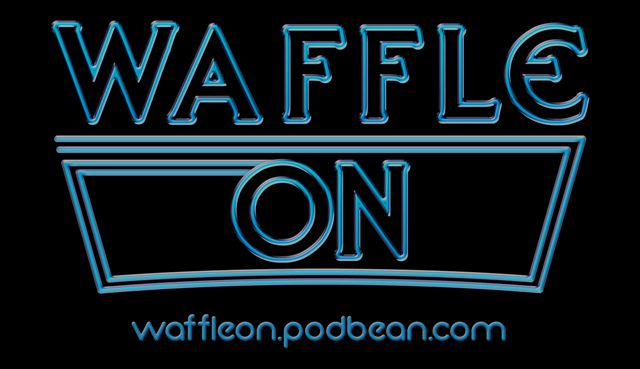 Its ounds weird and indeed it is but we hope listening to this podcast while make you go and seek it out and enjoy the dark world of Garth Marenghi and his Darkplace. Waffle On Tribute to Norman Wisdom. 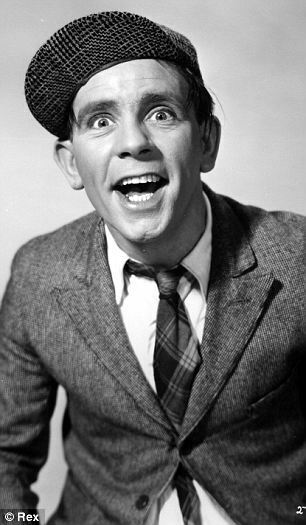 Welcome to this special tribute podcast to a fantastic comedian and all round entertainer Sir Norman Wisdom who sadly passed away on the 4th of October 2010. A well loved man who's career blossomed in the late 50's and early 60's. His films were not popular with the critics but loved by the general public. Later in life he took to stage work and stand up comedy drawing great success along with some serious straight roles. He lived on the Isle of Man for many years and it was here that he passed away at the grand age of 95. We felt it fitting and only right that we do a tribute podcast to Norman and i hope that you will enjoy this and for anyone who is not familiar with is work please do seek out the film On the Beat from 1962 which is a personal favourite. We'll be back in a few weeks with the official October show.